MKINC scene1 from 4 The Kids Films on Vimeo. MKINC scene2 from 4 The Kids Films on Vimeo. MKINC Scene3 from 4 The Kids Films on Vimeo. Press guide PDF can be downloaded here. Video downloads for working media are available by contacting Markowitz Communications. Director Tim Sorel (Women, Children and AIDS, The Trap Of Saving Cambodia, Lifecasters) is a University of Florida Professor and documentary filmmaker. 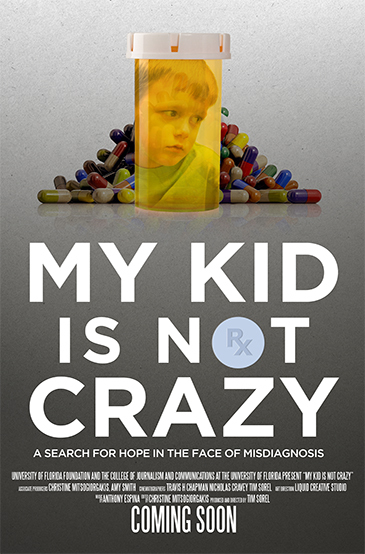 Inspired by chance meetings with parents who had children with PANDAS symptoms, Sorel set out on a two-and-a-half-year journey embedding with several families as they navigate a nearly impossible medical system, insurance denials and general non-acceptance of these children. Sorel also interviews the nation’s top experts in science, medicine and treatment to separate fact from fiction.